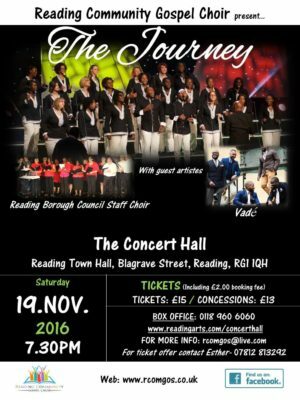 Reading’s very own Community Gospel Choir showcases the music and talent that has made them finalists of this year’s BBC Songs of Praise Gospel Choir of the year. 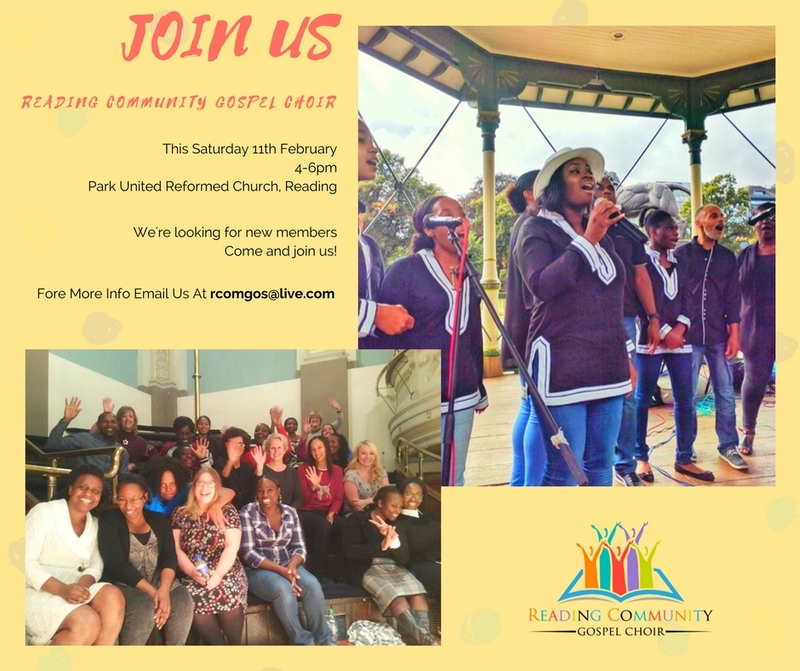 The Reading Community Gospel Choir enjoys bringing people together from all ethnic backgrounds and cultures to sing from the heart and spread the happiness of gospel music. 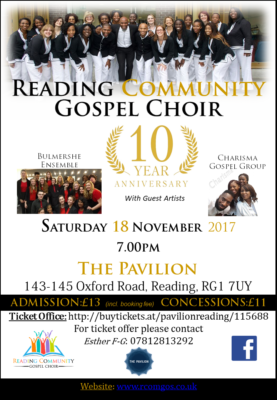 We are looking forward to joining the Tottenham Seventh Day Adventist Church to celebrate cultural diversity in all its wonder. 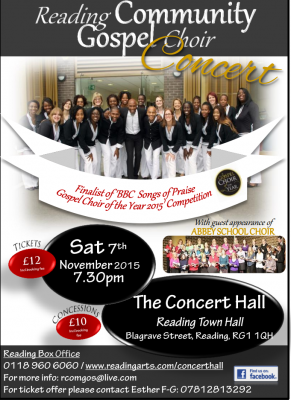 Traditional food and music from a wide range of Nationalities.